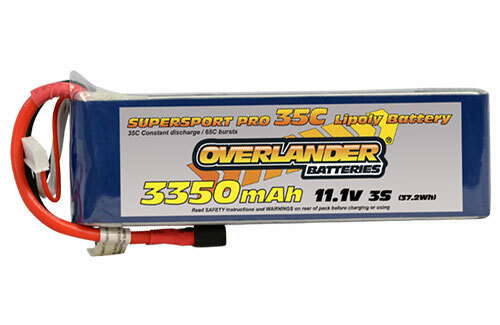 All Products > "2570 Overlander 3350mAh 3S 11.1v 35C Li-Po Battery"
All of our Overlander SuperSport Pro Lipoly batteries are designed with optimal performance in mind. 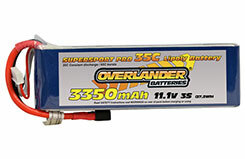 In order to ensure longevity and reliability, our batteries are manufactured using the superior �stacking� method, which provides you with reliable capacity and consistent power. They come equipped with high quality silicone leads that are able to minimise resistance and sustain high currents. Great value without the loss of performance!